The Shanghai Cooperation Organization, which is also known as Shanghai Pact, is an organization consisting of countries from Europe and Asia and its creation was formally declared in June 2001 in Shanghai, China. It has an apparently economic and security agenda for the member countries. Presently, SCO has 8 members states and 4 observers. In addition, it has 6 dialogue partners and 4 guest attendance entries. Member states are Pakistan, China, Kazakhstan, Kyrgyzstan, Russia, Tajikistan, Uzbekistan, and India. India and Pakistan joined SCO as full members in June 2017 at a summit in Astana, Kazakhstan. Presently it has acquired increased significance and in also described as the alliance of Asia. It has noteworthy political, economic and security influence in the Asian continent. Needless to say, it is also one of the world’s strongest military alliances, which also covers almost half of the human population. All these factors make SCO one of the world’s most powerful and influential organizations. Recently in June 2018, an SCO summit was held in China's Qingdao town, and India attended this meeting as a full member for the first time. 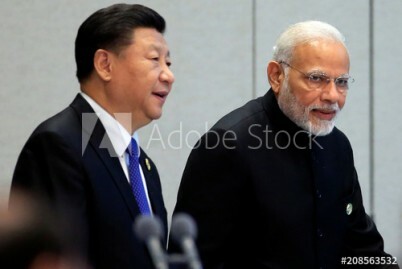 Significantly, during the summit, India stood its ground and didn’t endorse China’s Belt and Road Initiative (BRI). Infact, India was the only country to do so. Since a section of BRI passes through Pakistan Occupied Kashmir (POK), India has considered BRI as an encroachment on its sovereignty. Keeping this in view, Indian PM reiterated the requirement to respect sovereignty, while dealing with infrastructural projects. India's stand should not be considered as India, getting isolated, and we must stand up for our own interests. In addition, India also considers that BRI remains opaque with financial burdens on recipient’s nations. Terms of the proposed projects are also loaded in China's favor and China is trying to export its domestic debt, under which its economy in labouring through BRI. If China is keen on India’s support for the BRI,it must appreciate, India’s point of view.Besides,even if India supports BRI,what is there to ensure that there would not be another Doklam standoff. China must ask Pakistan to crack down on anti-India terrorism and empower Indian exports into China especially pharma, IT and agricultural exports. We need to build much more trust with China. Despite the above developments China expects the SCO to play an important role in resolving the differences between India and Pakistan, which joined the SCO only last year. This is relevant as India, certainly considers Pakistan as a major stumbling block in improvement of the relations between India and China. Significantly, all SCO members have taken pledges about maintaining good relations with other members. Therefore, China feels that SCO can be a great vehicle to improve ties between India and Pakistan.